This map contains territory of Russia. free map of Zhavnyavaraka free download. actual map of Zalambino with gps calibration free download. free map of Von'giozero и OziExplorer calibration presented. free map of Vatulma with gps calibration here. map of Ushkovo displayed. topographic map of Tunguda 1 cm to 1 km this. detailed map of Torovaraka here. 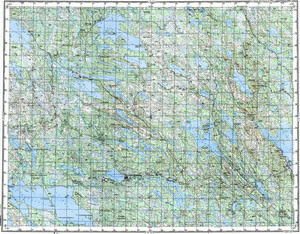 free map of Tarkozero free download. actual map of Sila for you. free map of Shuyezero calibrated for you. actual map of Shiganniemi download for free. map of Sharovaraka 1 cm to 1 km this. detailed map of Shagozero и OziExplorer calibration presented. detailed map of Sennaya Varaka и OziExplorer calibration download for free. map of Sel'ga и OziExplorer calibration for gps. topographic map of Rigovaraka 1 cm to 1 km for Garmin. actual map of Pusty и OziExplorer calibration presented.